I'm writing to let you know that I just received the jewelry armoire and it is stunning! The craftsmanship in all aspects is superb! Matter of fact, I have a few Stickley pieces and the workmanship (wood, hardware, and perfect finish) in the armoire looks & feels superior to me, in my humble opinion. And the delivery people were fantastic too! Thank you again! I'm definitely going to recommend Amish Avenue to my friends and will definitely look to your site first for future heirloom pieces for my Home. We received the vanity yesterday. It’s absolutely beautiful!!! You’re workmanship is second to none. It’s has made my wife extremely happy! Again thank you so much for all your kindness!! The jewelry armoire arrived on Sunday morning. Outstandingly beautiful and well crafted!!! Exactly what we were hoping for. Ann couldn’t believe her eyes. Please tell your craftsman what a truly excellent job they have done! It’s wonderful doing business with artisans committed to such high quality workmanship. Just wanted to let you know -- the furniture is absolutely gorgeous!!! Both pieces go beautifully with the birds eye antique piece we already had in the room. The quality is incredible. Thanks so much to the craftspeople who built them with such obvious care! My desk arrived. Its beautiful! Thanks again. The delivery guys were great. Merry Christmas and happy new year. it (jewelry armoire) is absolutely beautiful!! This process was beyond my expectations— from you helping me with the stain - to the design- the actual purchase- and the delivery! Received the armoire today. It is spectacular and delivered in perfect condition. I received the jewelry box today and it's great craftsmanship! Please thank the man who crafted this box for me. My girlfriend loves it. I received the armoire last Thursday. It is beautiful! It matches my existing furniture perfectly! The delivery guys were very professional. I would definitely recommend Amish Avenue to friends and family. Wow!! What a bed. Thank you so much!! Olga here. I am very pleased with my new jewelry cabinet. Thank you! It looks wonderful and is so very roomy. It is a piece that will definitely last more than a lifetime. Ray says thank you very much too. Thank you so much for the gorgeous armoire!!!! The craftsmanship is just fantastic!!! This will definitely be passed down to future generations!!!!!!!! I received my jewelry armoire yesterday. Thank you so much. I love it. It is an amazing piece of furniture. I am so happy with my decision. Hi Todd.. just wanted to touch base with you and let you know that I received the Armoire on Tuesday evening. My armoire is absolutely beautiful! I cannot say that enough. It is larger than what I had imagine- but that is a good thing! It is solid and heavy which to me means it it made of good quality Hickory wood. The craftsman who made this piece is definitely an artist and has a talent beyond compare. I have zero complaints about this Armoire. I am so happy and beyond satisfied entrusting you and your business with making such a beautiful piece of furniture that will most definitely last for generations. You have definitely surpassed my expectations. Thank you so very much, Todd. The armoire was delivered yesterday and it is spectacular! I absolutely love it. Eli and his assistant did a fantastic job as well. They were right on time and took great care getting the armoire set up. They checked every drawer and cabinet to make sure everything was working perfectly. I hope you were able to get some great pictures and video of this because I’d be very surprised if you didn’t sell more of these. I love my jewelry cabinet. I have it all filled up and it looks great. We received our furniture on Tuesday and it looks great! Definitely worth the wait! Thank you for all of you help!" "Received and it looks beautiful. Thank you so much - my wife will love it!" "The armoire came today. It is really nice. We are very pleased with the entire experience and hope to shop with you again. "Thank you. The piece is absolutely beautiful, and I love it!" Hi. The chair arrived today.I love my new chair very much ! Its perfect for my small bed and painting room. Just got home - it's (bed) beautiful. Thank you! Thanks Todd. Wonderful piece (jewelry armoire). Pleasure doing business with you. The delivery was actually early. The driver helped pack the piece (jewelry armoire) into the house, very unexpected and appreciated! The piece is just plain beautiful. Our home is full of handmade shaker furniture and this piece just fits our home superbly. My wife is beside herself at how beautiful and fine the workmanship is. Thank you very much for the quality and customer service from Amish Avenue. The desks are just BEAUTIFUL! We are very pleased, and so glad we found them (and your business) on line. The young man who delivered the desks was great too. He was so careful with them, and put all the drawer dividers in place and got them set right where we wanted them. We’re busy filling the drawers now, and of course my computer is happy on its new desktop. Thank you for working with us on the stain color, and for getting them here before Christmas. We will be sure to recommend you to any friends who have need of furniture, and if you run into people who want a recommendation, we’d be happy to oblige. All our best wishes for a Happy Christmas, and please pass along our sincere thanks to the master woodworker(s) who actually made our desks too. The desks are here now and they look great. Thanks for all of your help. Thank you for the beautiful desk! It is so wonderfully crafted and so attractive. Far nicer than anything available in stores today. 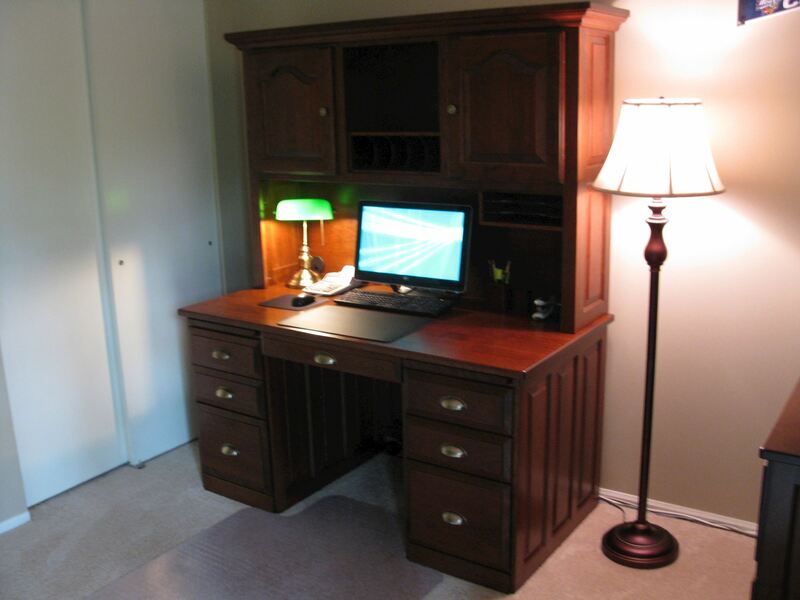 The desk is very nice really like the quality of construction & more important my wife loves it. The shippers were top notch too very friendly. 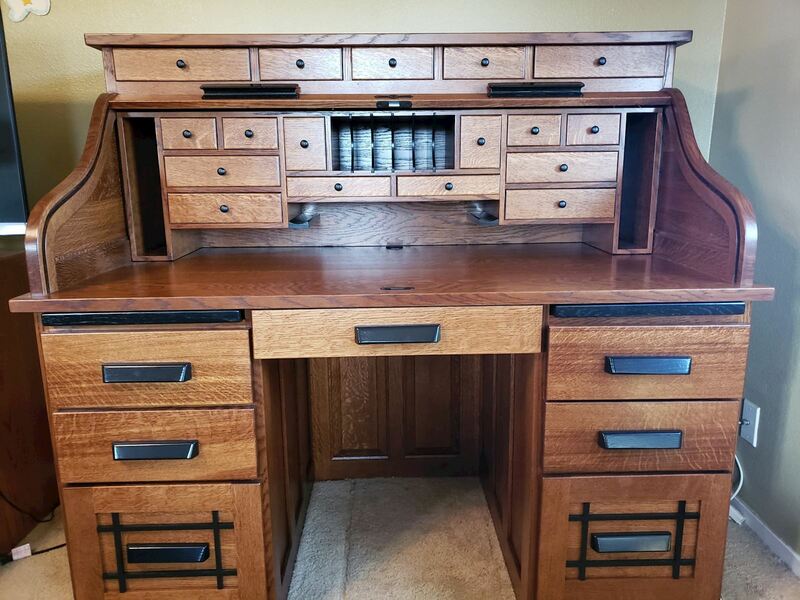 My roll top desk arrived this morning. It is absolutely beautiful and is everything I wanted and more! Simon was a pleasure to work with and meet. The delivery and setup all went very smooth. My wife and I are both very pleased with the desk. It completes very nicely the room I have for it. I will cherish and enjoy it for all my remaining days and I have no doubt that someone for generations after me will know the same enjoyment. It is a work of art, exquisitely made! Thank you so very much! 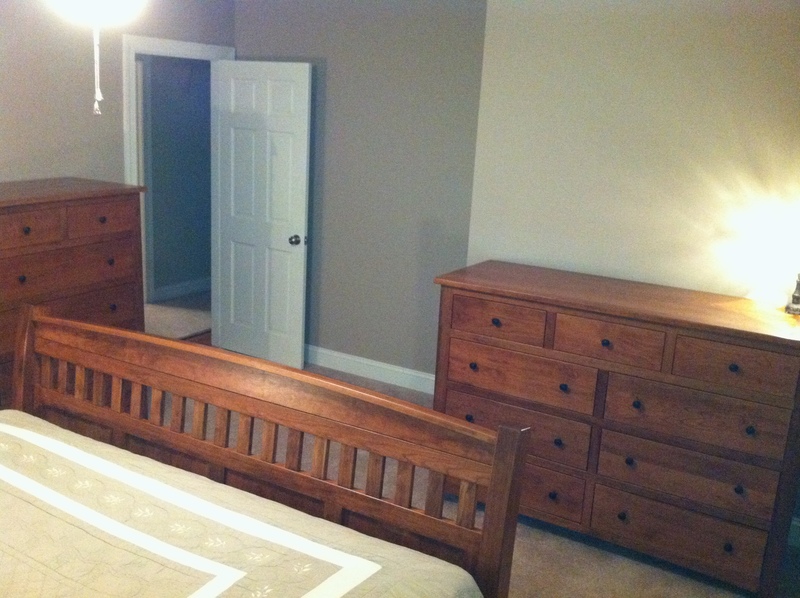 furniture is absolutely beautiful, its exactly as I hoped it would be and the stain Boston finish is so nice. The armoire is just beautiful! Was shipped perfectly and I couldn't be happier! The desk was delivered around noon today. It is beautiful!! I am very pleased. Thank You so much for all your help. potential customers, let me know. our children, long after we are gone. Todd, Just wanted to let you know that we received the jewerly armoire and it is absolutely beautiful. The craftmanship is perfect. Thanks so much for your help! Look forward to doing business with you in the future. My wife is extremely happy with her new Jewelry Armoire. will. Excellent packaging for protection. My desk arrived yesterday. Shipping/deliver/unpacking all went very well and desk arrived in pristine condition. Build quality on the desk is everything I had hoped for. It was worth the wait. I recently purchased two of your large maple trash bins. My husband and I couldn't be more impressed! They are beautifully made - we can see the attention to detail paid to the construction, workmanship and finish. The cost was very reasonable and they were packaged very meticulously to prevent damage from shipping. I will recommend you to all of our friends who are looking for high quality furniture. Thank you!!! We received the jewelry box today and I just wanted to say it is excellent. The armoire arrived in time and looks great!! thank you so much. I just wanted to let you know that we love the furniture! It is beautiful! The quality is amazing and we are very happy with it. Thank you again for everything! We received the jewelry armoire we ordered in perfect condition, and the workers who brought it were so kind and helpful. It is a stunningly beautiful piece, excellently designed and crafted. I know I will enjoy it for many years, and so will one of our children after me. Thank you so much! The armoire arrived on time and it is beautiful! My wife absolutely loves it. It is refreshing to have purchased a piece of furniture made with such great craftsmanship. I am really enjoying the jewelry armoire. It is beautiful and functional. Thank you so much.